We departed our hotel at 5:00am for the local airport located south of Dubrovnik to fly to Frankfurt. Once in Frankfurt we found that our three-hour layover had been extended to a six-hour layover because our aircraft was arriving late. After boarding the plane, we had to sit on the tarmac for another three hours due to an electrical storm in the area. Once planes were allowed to fly again we were finally on our way to San Francisco. Once we arrived in San Francisco we found that we had been re-booked on another flight at 11:00pm because we had missed our original flight. The flight to San Diego arrived about 1:00am and we were so glad to finally be home. In the following days, Kent had surgery on his left forearm to install two metal plates with 13 screws. He was hospitalized for one night before being discharged to continue recovering at home. 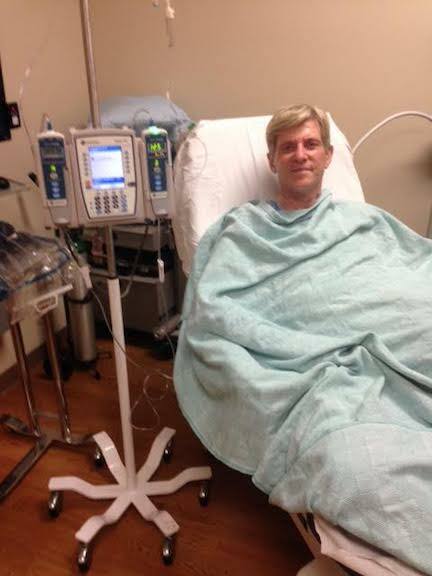 Throughout this ordeal, Mark provided support and TLC…..a real trouper who didn’t complain once…..just get ‘er done!